A 64-year-old man from Felixstowe, who was convicted of killing his wife at their home in the town almost three years ago, has been given a 17-year sentence. Shaun Ryan, appeared at Ipswich Crown Court yesterday, Wednesday 30 January, where he was sentenced to 12 years’ imprisonment, with an extension of five years’ licence under Section 45A of the Mental Health Act. This will commence in a psychiatric hospital where he will remain indefinitely until such time he is deemed fit to be transferred to prison. He had previously appeared at the crown court on 11 June 2018 where he admitted manslaughter on the grounds of diminished responsibility in connection with the death of his wife, 67-year-old Jean Ryan. Shaun Ryan’s guilty plea meant that he was given the reduced sentence of 12 years’ imprisonment, but the additional five years extended sentence was imposed as the court deemed him to be a dangerous offender. At around 10.30pm on Wednesday 13 April 2016 police received a 999 call from a woman, who it later transpired was Jean Ryan, shouting for help before the call cut off. Two police officers arrived at the address in Gosford Way just over five minutes later and as they approached the bungalow, Shaun Ryan called out to them to “come in”. They were directed around the side of the property to the rear door, finding spots of blood on the path in the process. When the officers entered the bungalow, they found Shaun Ryan standing in the kitchen with blood on his hands. The officers asked him if he was ok to which he replied “Don’t worry about me, you’d better check on her”, gesturing towards another room in the property. One of the officers then proceeded into the bedroom where he discovered Jean Ryan lying on the floor with a knife sticking out of her back and there was blood on the walls and the bed. The officer checked Jean for signs of life and called out to his colleague that she had been killed. Shaun Ryan then became agitated and when the officers refused to let him enter the bedroom he became violent and starting fighting with the officers, resulting in all three men falling to the floor in the ensuing struggle before the officers were able to handcuff him. Following the arrival of further police units and also ambulance personnel who confirmed that Jean was deceased, Shaun Ryan was arrested and taken into police custody and later charged with murder. A post-mortem examination concluded than Jean Ryan had died as a result of a stab wound to her back and had sustained multiple stab wounds, including to her head, chest, abdomen, arms and legs. A murder trial was initially set for June 2017, but Ryan was not deemed fit to proceed and so the jury was discharged. A second trial was due to begin in June of last year, but Ryan subsequently accepted the charge of manslaughter by diminished responsibility. Sentencing was adjourned for medical reports to be compiled. The defence case for Shaun Ryan did not dispute that he was responsible for Jean’s death, but instead appealed for his mental state at the time of the attack to be taken into consideration, with the court hearing that he had sustained previous head injuries, one of which had resulted in him suffering epilepsy. As a result of this Shaun Ryan was on medication for his conditions and Jean acted as a carer for him. Shaun claimed that he had begun arguing with Jean on the night of her death over money and that she had attacked him first and so he acted in self-defence, but the police investigation found no evidence to substantiate this claim, or indeed any reports of Jean ever being violent. Detective Chief Inspector Caroline Millar, the Senior Investigating Officer, said: “This is a truly tragic case of a 67-year-old woman dying at the hands of her husband who she had spent 20 years caring for. “Jean Ryan was subjected to a savage and brutal attack and her final moments must have been terrifying as she sought refuge in her bedroom. She was older than Shaun and vulnerable herself due to her own health issues. “Myself, along with all the other detectives in the Major Investigation Team who worked on this case, were determined to get justice for Jean Ryan. It has been a protracted process to finally get this sentence passed, coming almost three years after Jean’s death, but the court was required to fully understand and take into account the defendant’s mental health. 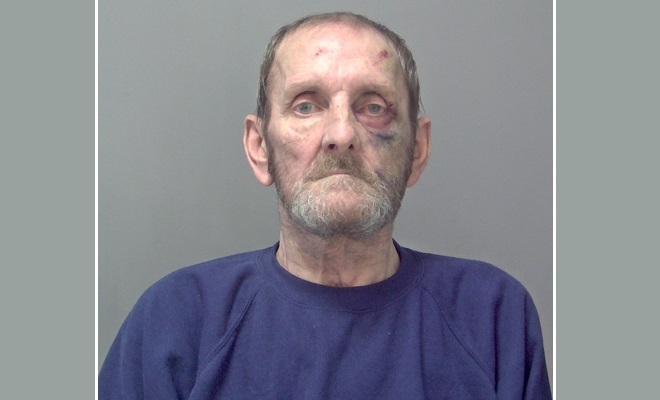 A 63-year-old man from Felixstowe has been convicted in connection with the fatal stabbing of his wife over two years ago. Shaun Ryan appeared at Ipswich Crown Court yesterday, Monday 11 June, where he admitted manslaughter on the grounds of diminished responsibility. Police were called to the home of Ryan and his wife Jean, aged 67, at around 10.30pm on Wednesday 13 April 2016, after Jean had made a distress call to 999. When officers arrived they were let into the property by Shaun Ryan and discovered Jean in the bedroom with a knife in her back. Paramedics attended and Jean was declared deceased at the scene. A Home Office Post-Mortem examination concluded that the cause of death was as the result of a stab wound. Shaun Ryan was arrested on suspicion of murder at their home on that evening and later charged with the offence. A murder trial was initially set for June last year, but Ryan was not deemed fit to proceed, so the jury was discharged. A second trial was due to begin this week, but Ryan subsequently accepted the charge of manslaughter by diminished responsibility. Ryan has been remanded in custody and proceedings have been adjourned for medical reports to be compiled. There will be a next hearing on Monday 6 August, but he will not be sentenced until a date after that. Detectives investigating the murder of a woman in Felixstowe last week are now naming the victim. Police were called to an address in Gosford Way at 10.30pm on Wednesday 13 April after receiving a call from a woman in distress. When officers arrived at the property they discovered a woman with serious injuries. Paramedics attended the address but the woman was declared deceased at the scene. A Home Office post mortem examination concluded that the cause of death was a stab wound. The victim has been formally identified this afternoon, Monday 18 April, as Jean Ryan, aged 67, of Gosford Way, Felixstowe. 61-year-old Shaun Ryan, of the same address, was charged with murder on Saturday 16 April. The accused and victim were husband and wife. Shaun Ryan appeared before Ipswich Magistrates’ Court this morning where he was remanded in custody pending an appearance at Ipswich Crown Court tomorrow, Tuesday 19 April.